It was with deep sadness and regret that we released the news on April 27 that Dr. Gerard K. O’Neill had died. On these pages we celebrate his life with much love and admiration. His life was rich in achievements and friends. Some of those friends have offered to share some very personal experiences and impressions with you. Gerard K. O’Neill exemplified a rare combination of pioneering scientific inquiry and humanitarian vision. He was a man of ideals and principle. His interest in the new frontier of outer space went well beyond scientific curiosity to explore the possibilities of preserving individual freedom and to improve the human condition. It was exciting to see him develop some of his ideas into practical use in the commercial world. Gerry has inspired me with his vision, courage and determination. He continued to work effectively on very challenging goals despite his illness over the last 7 years. Gerry has left a rich legacy of accomplishment and ideas. It was only after I had known Gerry O’Neill for a few years as the proponent of space settlements that I learned of his earlier contribution to particle physics, the colliding ring, which is the basis for all high energy accelerators today. Then Luis Alvarez told me about Geostar, and I thought: doesn’t this guy ever stop? Actually, he never did. In the months we served together on the Geostar Board, I had seen him exhibit more cheer and creativity under adversity than most people can muster in the best of times. All of us who knew him will miss him. Tasha and the children should find solace in the great number of people they have to share their bereavement and to treasure his memory. I have known Gerry for about 45 years. We roomed together two years as undergraduates at Swarthmore College where I was early impressed by his clarity of intellect, enthusiasm for college in general, and physics in particular. We both went to Cornell for graduate work (in different departments), and I recall with pleasure two events from that time: One was Gerry’s exuberant discovery that deep within the structure of Cornell’s cyclotron was apparatus for the experiment hand-made of masonite and plywood – the very human touch in the world of Big physics. The other event was the time we had picked many pounds of pie cherries at a local orchard and were faced with the job of pitting them. I made a pitting tool I had seen my grandmother use (from the last century). Gerry quickly built a foot-operated machine that punched out the pits from two cherries at a time. This was a new and faster invention which seemed to flow so easily from a personality tuned to the analysis of what can be done and the ability to do it! 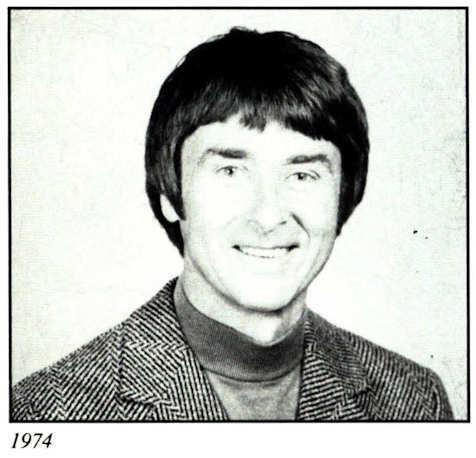 Only a few years out of graduate school Gerry was making truly major contributions to the field of experimental high energy physics. A good many years later his enthusiastic demonstration of the nearly completed proton synchrotron at Princeton was an event I have not forgotten, for he so abundantly conveyed the possibilities of the machine to me (a biologist) that once again I was struck with his deep commitment to getting a new job done – all with a flair for sharing the joy of the undertaking. I remember his presentation of new ideas couched in terms that “the technology already exists, we just need to do it.” I truly suspect that modesty of personality tended to hide the degree to which the technology and organization were, in fact, suffused with Gerry’s own prior contributions. Only recently, at his 65th birthday celebration, Gerry demonstrated to those assembled a working model of the magnetic suspension principle which is central to his new development of a high speed transportation system. His presentation, as always, radiated enthusiasm and confidence that the reasoning mind of anyone, regardless of background could grasp the invention under discussion. He liked to share ideas, and it was always fun to be included in a group where he was doing so. 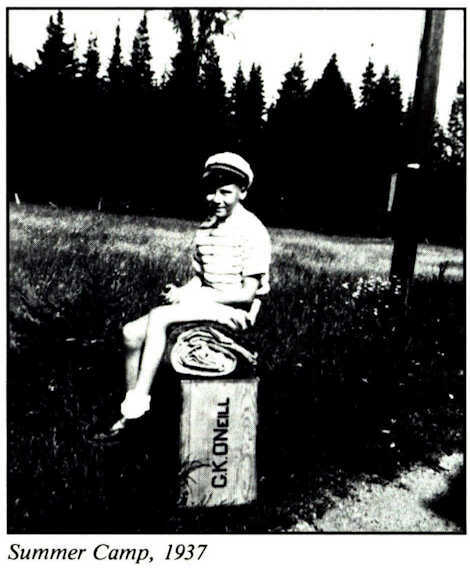 He caught an aspect of his personality in the subtitle of one of his books (here bolded) 2081: A hopeful view of the human future. It has been a great privilege to have known Gerry and continues to be an abiding pleasure to remember him. Gerard was sitting calmly erect in our living room with his usual slight wry smile, his head slightly tilted. My father and I were leaning forward, eagerly asking question after question about atom smashers, how physics research is paid for, why the universe is put together the way it seemed to be, what universities are and aren’t, how much food can humankind grow and would it make a difference over time – on and on for hours. To an early teenager, this was joyous stuff. Gerard shared these exciting exchanges and insights with me several more times when he visited us during my pre-college years. He increased these rich talks on an ever-expanding range of topics continuously through to the last years of his life. Gerard was, without question, the smartest, most imaginative and most resolute thinker and doer I have ever known or likely will ever know. 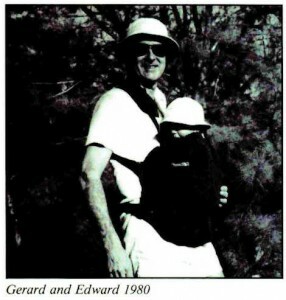 We named our first born Matthew O’Neill Lewis after both Gerard and his brilliant gentle father, Ed, who showed me by his own living where Gerard learned to be so giving of his time, brains and energy. It is almost exactly five years since I met you. In the Summer of 1987, when you selected me to run your latest company, OCI, we had high hopes for quickly raising $3 million. That Fall, the market crashed. I seriously considered moving on to another venture, but I learned from your example not to give up or, as we often said, “never quit flying the plane.” I feel very privileged to have had the opportunity to work for you and learn from you. As we discussed, we experienced all the conflicts that are inherent in the Founder/President relationship. Fortunately, we had an unshakable common goal to make O’Neill Communications a success and when the discussions became particularly intense, we could always talk about flying. I remember our first flight in your Malibu circling the hot air balloons over Eastern Pennsylvania on a sunny September afternoon. I also remember your early critiques of my writing. What was it you said? “You can’t teach the tone deaf to sing”? Thank you for your patience, your knowledge and your guidance. With my dad, a hike in the woods was an occasion for the exchange of ideas and dreams. Whenever I go hiking, I will be thinking of him, and hoping his dreams continue. Gerry O’Neill embodied many of the qualities of a great man. He was an outstanding scientist, teacher and above all, a kind and caring individual. The world has lost a great mind and we all have lost a good friend. In almost 40 years in the space profession, I’ve been privileged to know and work with outstanding thinkers, doers, conceptualizers, people who can communicate with laymen as well as with their peers, technical experts who have the patience to teach at any age level, great people who don’t act as if they are special, and engineers and scientists not afraid to put their reputations on the line on behalf of advanced causes. Gerry O’Neill is virtually the only person I’ve known who was all of those. The space profession will miss him deeply. I retired as a Captain from United Airlines in 1981. 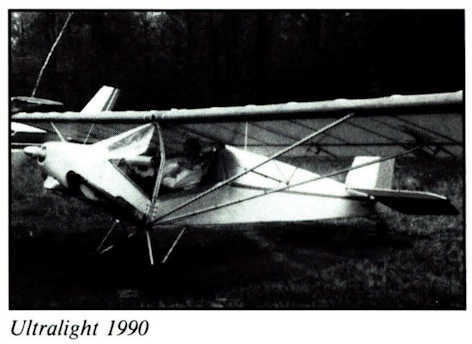 I then went to work with Northrup Aircraft as a consultant on a special assignment for an investigation paid for by the National Science Foundation on the use of air space in the U.S.A. The project lasted for about four months. 1 was then contacted by Dr. O’Neill by telephone. He asked me about my experience and background. Within a month I found myself helping Dr. O’Neill on what developed into the Tahoe tests that led to the development of Geostar. I spent the whole summer and fall at Lake Tahoe flying a Mooney aircraft as the first flying test bed for Gerry’s idea of getting and giving information from space. I then had one of the most interesting and intriguing positions with Gerry. I wasn’t on a payroll, but I was going at a pace of about 110% forward on the development of Geostar. He had me going all over the world talking to groups on its potential, its capabilities and its future. I gave talks in India, England, Rome, China and Japan. The years from 1983 to present have been full of many wonderful memories. Being around Gerry I learned to go further, try harder and never give up on any idea. He was an inspiration to me and everyone near him. God bless him. Gerry was the most compassionate man that I have ever known. His concerns did not end with his family and close circle of friends, but extended to all humanity, now and for generations to come. I believe this explains his intense desire to find technological solutions to the growing problems of our planet which plague us now and threaten to grow more severe in the future. We must resolve that his legacy continues. 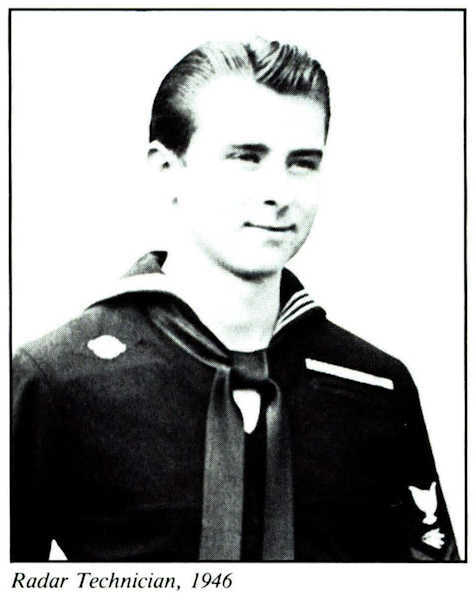 Our friendship with Gerard began after his discharge from the Navy in 1946. 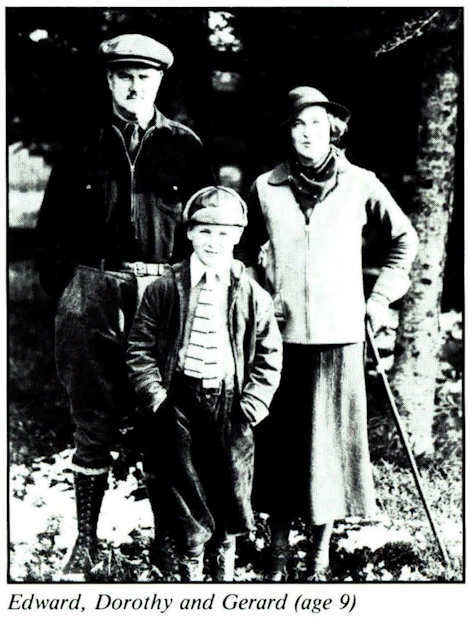 During his undergraduate years at Swarthmore and graduate years at Cornell his parents, Dorothy and Edward O’Neill, shared with us his writings and his academic progress. I remember sitting in their garden by the Hudson River and listening to Ed explain and interpret the concepts. They often commented how a dedicated creative high school teacher recognized Gerard’s interest in physics and stimulated and supported his pursuits. Gerard had an exceptional ability to conceptualize and envision the potential of scientific development into contributions for mankind. He was able to translate what seemed impossible into the realm of achievement. His great devotion to his family and his nurturance of the bond of friendship bring comfort. He has left a legacy of faith and understanding that enriches all our lives. We are among many whose lives have been touched and transformed by Gerry O’Neill. 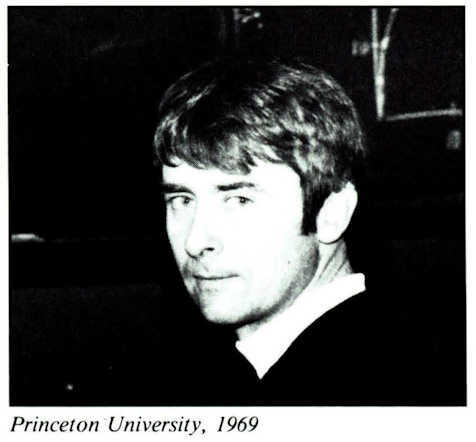 The years we spent at Princeton were some of the best of our lives largely due to his guidance and friendship. 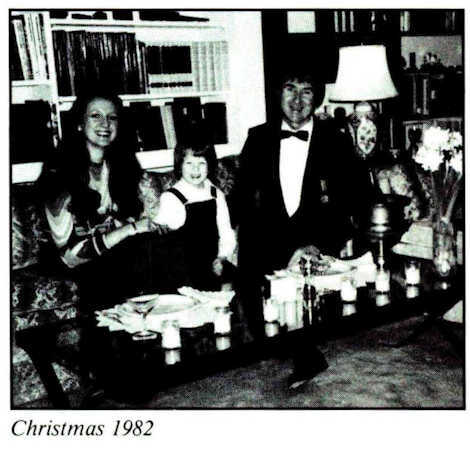 We remember our first social gathering soon after David became Gerry’s student. In spite of an extremely demanding schedule, Gerry invited us to a Thanksgiving dinner in which he cooked the entire meal by himself. He has always taken the time to cultivate his friendships and created a very special physics group at Princeton. As a scientist, Gerry was a true genius and visionary whose contributions in numerous endeavors made the world a better place for everyone. His pioneering spirit and accomplishments will serve as guideposts for generations to come. We are extremely proud to have been his friend, and shall forever cherish our memories with warm affection. 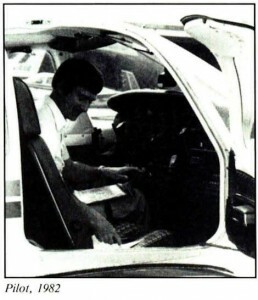 The final chapter of the Mass Driver trilogy began after the 1979 SSI conference. Temporarily ignoring conventional wisdom and unsupported intuition, Gerry O’Neill asked the simple but unorthodox question, does a “pull-push” mass driver – the design used for MDII – provide maximum performance? As we now know, the answer turned out to be “no.” A pull-only design provides higher performance primarily because the coupling between the fixed “drive” coils and the moving “bucket” coil can be substantially stronger. Gerry calculated accelerations greater than 2000 earth gravities from a non-cryogenic design using off-the-shelf components. That’s where I joined the fun. Gerry extended to me the challenging opportunity to come to Princeton in the Fall of 1982 to build a working prototype of the pull-­only model, yawningly called Mass Driver III. (The importance of choosing an ear-catching name was low on our priority list.) Except for new drive coils and some hand-made bucket coils, we used pieces and parts from MD-II, following the time-tested and budget-dictated tactic of scrounge and borrow. Reflecting the simplicity and elegance of Gerry’s design (characteristic of O’Neill, showing his experienced devotion to the KISS principle), and with help from two dedicated SSI volunteers, we began testing the prototype within a couple of months after the start of the work. Prior to the next SSI conference in 1983 the prototype had demonstrated accelerations of over 1800g’s through 5 coils of the 20-coil model. Wind resistance and the mechanical resistance of the wires that powered the bucket prevented the prototype from matching the theoretical performance even more closely. The MD-III effort proved two important concepts pioneered by Gerry O’Neill. The most obvious was that an electromagnetic slingshot could be built that will be an efficient and cost effective method of moving lunar resources to high orbit. But that was just applied physics and engineering – a unique and clever idea made real by the evolutionary process of build, test, modify, and do it again. More importantly, Gerry left us with the legacy that a seminal breakthrough could be made by ordinary folks, cooperatively dedicated to a common goal. Those of us who worked with Gerry during the golden age of mass driver research can hope that a portion of his ways of working rubbed off on us so that we can help continue his vision, and our collective goal. I first came to know Gerry O’Neill in a time of corporate crisis a number of years ago. What impressed me most about him then was the strong sense of ethics which he resolutely sought to apply to the situation. Since that time, in a variety of other contexts, I found this to be one of his constant traits. His brilliance, his reason, his drive, and his creativity each garnered his well-deserved renown. But I respected him most, and will remember him best, for his commitment to fairness and equity. I was personally touched by Dr. O’Neill’s commitment to excellence through his work ethic. He was a great innovator as well as a great human being. He was a wonderful teacher with great communication skills and much patience. He was a pleasure to work with. I will miss him greatly. What can you say about a man who quite possibly has done more to advance the human race than anyone since the invention of the written word? Despite his emphasis on practical solutions using present-day technologies, in many ways Dr. Gerard K. O’Neill was a man ahead of his time. Decades after his major contributions to particle accelerators, we are still reaping the benefits. It now appears that his ideas of a decade ago for global personal communication and geolocation will become the most significant part of the space industry in another decade. As for his biggest vision, the freeing of humanity from the surface of a single planet into the rest of the universe, it will be decades before the majority of the people start to appreciate it. He devoted most of his energy and resources of the last two decades to helping us achieve what I truly believe will be the greatest achievement of the human race: settlement of The High Frontier. The best way we can thank him is to carry on his vision, to continue to reach for the stars. We who worked closely with Dr. O’Neill were, of course profoundly affected by his vision of High Frontier. The power of that vision to change lives was especially evident to the Institute staff. But beyond the public O’Neill was a private man no less remarkable than the world-famous scientist, lecturer and author. Some of the descriptions of the private O’Neill that I knew include proud father, skillful craftsman, loyal friend, meticulous pilot and joyous explorer. Perhaps my strongest impression is the following; courageous gentleman. Dr. O’Neill was, first and foremost, a gentleman in every sense of the word. He had a quiet dignity and the rare ability of “grace under pressure” that he maintained even in the face of terrible adversity. The world will remember him as a man who had the courage to single-handedly challenge the conventional wisdom of his time. This kind of courage is legendary in the lives of the great thinkers and scientists of the ages. Our friend and founder showed the deeper courage, the private courage to carry on through illness and fatigue, the courage to write the promised article at 6:00 AM or give the speech or make the call even though anyone else would have set their burden down. We shall always remember this courage. Of all the resources of man, a brilliant, creative and forward visioned mind is the rarest and most treasured. When that mind emanates warmth, caring and sharing as well, it transcends the mundane and lifts the spirits of all who encounter it. Gerry O’Neill used those attributes to enrich the lives of those around him and accelerate the advancement of society worldwide toward a brighter and happier future. No man could contribute more. My first encounter with Gerry was in 1956. In those days people used to read the Physical Review. The June issue contained a letter to the editor from a young instructor at Princeton University with the title Storage­Ring Synchrotron: Device for High-Energy Physics Research. In two pages, Gerry laid out the path which high-energy physics has followed for the subsequent 36 years. If you read the letter now, you can see that almost everything in it is right. But it took a long time before most of us understood how right Gerry was. He had to work and fight for many years before the storage-ring idea caught on. He had to build a storage-ring himself at Stanford to convince people that it was feasible. Now every high-energy machine in the world has a storage­ring as an essential component. After showing the world how to do particle-physics, Gerry went on to show the world how to do space­exploring. Once again, the world is taking a long time to catch on. Once again, the world will understand one day how right he was. Gerry stayed young up to the week of his death. My most vivid memory of Gerry comes from seven years ago, when he gave a party to celebrate the move of SSI into the rooms which he had rented from the temporarily closed Johnson Park School. He was then over sixty, but he looked and behaved like a member of the gang of enthusiastic young colleagues and students who were working with him to build the latest model mass-driver. There they were, Gerry and his young friends, installed in that lovely spacious sunny room, the old Johnson Park kindergarten, where my wife and I had often come to visit when the room was filled with the joyful five-year-olds of Princeton. The voices of our five-year-olds were still echoing in that room, helping to keep Gerry young. Now Gerry is gone, and the five­ year-olds are out in the world, and it is they who will make Gerry’s dreams come true. 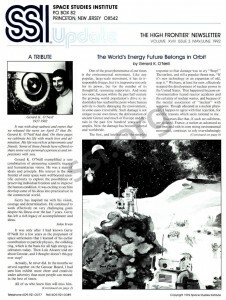 My contacts with Dr. O’Neill were first in association with the Solar Power Satellite concept in which I was involved as an expert in the microwave power transmission system which beamed the power collected from the Sun to the Earth. As he stated in “The High Frontier” he was at first skeptical about the technology, but as he became informed about how the technology had advanced under the support of NASA and industry, he embraced it and became an enthusiastic supporter of the Solar Power concept. In subsequent years he often encouraged me to continue my efforts in refining beamed power technology and in finding applications for it in space. He was truly an inspirational leader in the high frontier. To me the most important of Gerry’s many innovations is the permanent commitment that he has inspired in us toward an open and fruitful human future in space. Some professionals tend to scoff at his grand vision of huge settlements off Earth and economical, clean power supply to Earth. But Gerry in his lifetime convinced enough people that these are not idle dreams. The future may not unroll in just the way we see it now – it seldom does. But what Gerry realized, and eloquently promoted, was that nature permits a great human expansion into space, while the combination of incentives now facing humanity may make it happen much sooner than most people expect. 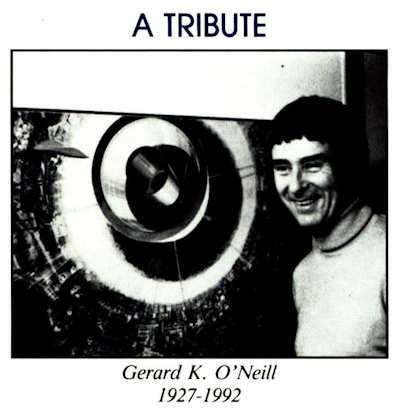 We would like to pay special tribute to the vision of Gerard O’Neill. He saw, and helped others see, the unbounded dimensions of the human destiny – that we are citizens of the universe, not bound forever to our planetary cradle. We are grateful for the warm support and shared enthusiasms that Dr. O’Neill and the members of the Space Studies Institute have shown over the years of our endeavor to create prototype systems for long-term life support. We have travelled over the past seven years from vision to blueprint to construction to making a living world. Now we are seven months into our first two-year voyage of discovery in Biosphere 2 – and our collective journey to the high frontier has scarce begun. We are deeply saddened by the loss of Gerard O’Neill-but confident that the work that he and SSI have nurtured has a future as vast and wonderful as the beckoning skies that surround us. We must continue to both dream and act together to take those dream step by step closer to reality. I had the good fortune to work with Gerard K. O’Neill on two occasions. The first in 1979-80, when I helped in a small way with the founding of the Space Studies Institute: working on its By-Laws and Statement of Goals and Objectives, to ensure that they would always reflect the thinking and wishes of the founders. 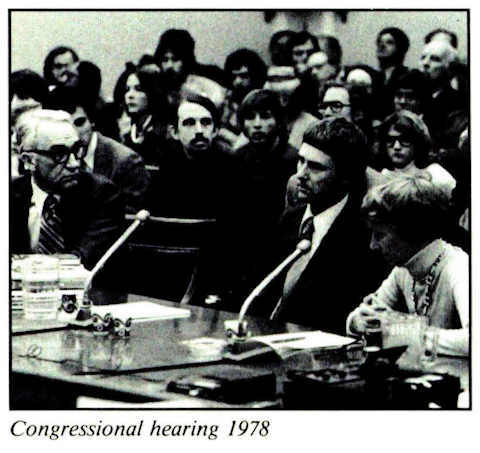 The second, in 1985, when we were both appointed to the National Commission on Space. 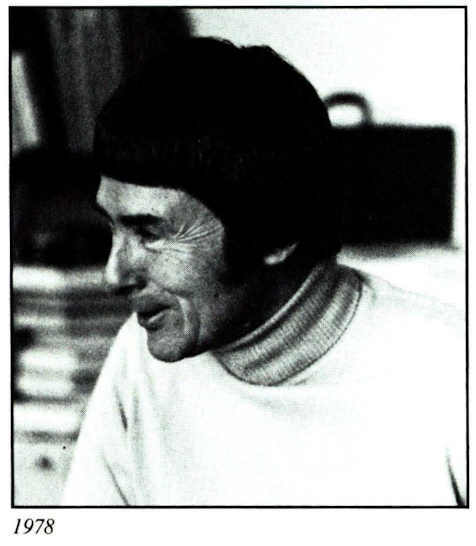 Gerry, although not well for much of that year, gave a tremendous amount to the Commission, and its final published report (Pioneering the High Frontier, Bantam Books, 1986) reflects a great deal of his writing and concepts. It is impossible to replace the irreplaceable, and Gerry O’Neill is one of those. The only course now open to us is to ensure that the things he gave his life to are carried on so that another generation can bring them to fruition. We need to redouble our efforts to this end, ensuring that his great work, The High Frontier, remains in print so that it can continue to work its magic on all who read it. And, that we increase our support of the Space Studies Institute, so that it can really do what Gerry envisioned: offer a private-sector alternative and addition to government-funded space research and development. For the rest, we will always greatly miss his learned, quiet but forceful prompting as to where we should be heading in space. 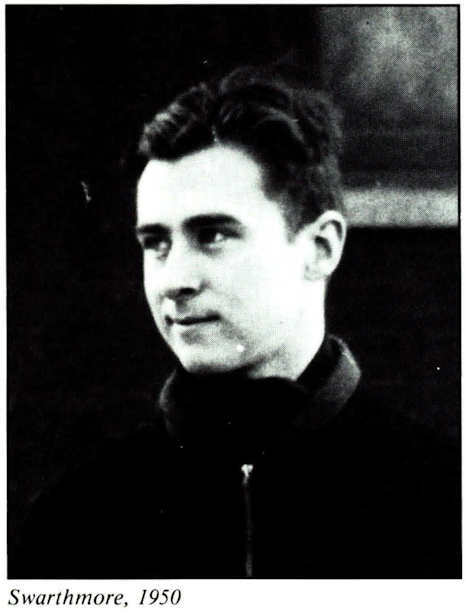 Gerry welcomed me warmly when I arrived as a young instructor of physics at Princeton, in 1957. I remember well how, at one of the first departmental coffees I attended, I cornered Gerry to tell him what amounted to how I thought special relativity could, and should, be taught to any high school graduate in an hour. He showed great patience with my enthusiasm, and allowed a lengthy conversation to ensue. It was characteristic of Gerry, that over all the intervening years, following Linda’s and my return to the San Francisco Bay Area, he made us feel close within his wide sphere of friends. Whenever we met, Gerry pressed to know the latest. When, finally, we could direct the conversation to him and Tasha, we heard in moderated understatement of pride in children, soaring as a bird miles above the Earth, major innovations in high energy physics, hopes to blaze into the heavens astride a rocket, plans to colonize space; a wellspring of hi-tech business adventures, piloting high­performance aircraft widely over the globe; and special heavenly retreats on Earth, epitomized by his and Tasha’s secluded, forested, rocky, seashore bluff in Maine. Gerry cherished the gift of Life, loved with it, created with it, gave with it, fought for it, and returned it, leaving those of us who loved him, who knew him through his contributions, or will someday live his vision, enriched by his passing our way. 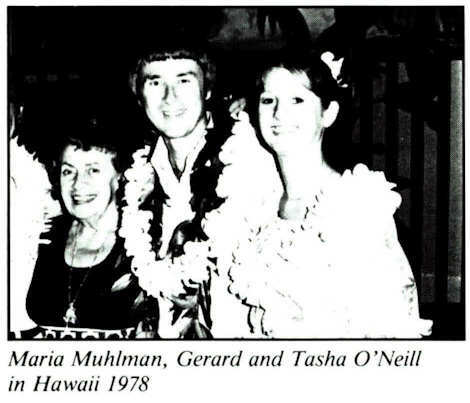 In Kona, on the island of Hawaii, in 1978, Gerard K. O’Neill first lit my imagination with a vision of hope for the future. He spoke of the human race moving out of the womb of the Earth and on to its destiny of dominion over the vast resources of space. The plan he so eloquently presented was clear, practical, and attainable. It revealed his deep regard and concern for his fellow man and his planet. His vision changed my life. Gerry’s passing leaves a void that, for me and countless others, will be long in filling. The reason is that he was even more than a good friend; he was a rare man of vision who balanced true creativity with both an optimistic outlook and rational analysis. 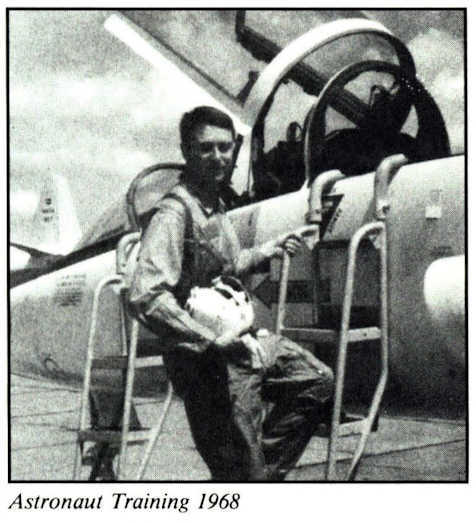 His legacy stands as testimony to that vision – ideas such as global positioning and magnetic flight, institutions such as SSI, and his family and friends who will not forget his lessons. Gerry made the world a better place and leaves an example to which the next generation can aspire. This I know, but that same world seems a little emptier now. I was lucky: I got to have Gerry O’Neill as an active and present part of my life for seventeen years. In fact, for a lot of those years it seemed as if Gerry O’Neill was my life. Over the better part of a decade, with Gerry as partner and consultant and strong supporter, I worked to bring the High frontier to a wide popular audience via the magic of movies. He and I lived through a lot of stories together during those years: funny stories and sad, stories of hope and stories of frustration. Many times, a lesser head than Gerry’s would have been turned by the glamor, the high stakes, and the seductive flattery. But in all our dealings with agents, producers, directors, actors and special effects wizards (each of them a star) Gerry held steady to his vision. He was neither rigid nor doctrinaire – he accepted the fact that compromises would be necessary to turn popularized science into popular fiction – but he knew the difference between fool’s gold and real. To all that we did, Gerry applied a single standard, one not often encountered in the high-pressure world of moviemaking: integrity. The integrity of Gerry’s ideas, the integrity of our personal and business dealings. By some measures, adhering to that standard cost us dear, but for Gerry, abandoning it would have exacted payment in a more valuable coin. I am blessed with a wealth of rich memories of the time he and I spent together, at work and at play, but it is by that unwavering commitment that I will remember Gerry O’Neill best. Perhaps bonds of affection keep you from seeing your friends clearly. But if Gerry O’Neill had only inspired people he would still be a great man. I believe that posterity will judge him as Newton was judged by his predecessors. As a giant. I don’t know what his religion was, but I know what he believed in. He believed in Man. He began the great task of moving our race out into the cosmos and we are charged to continue it. No matter how well we do, it will not be fully done when all of us left here alive are also gone. One of Gerry’s simplest and yet most effective leisure inventions was the nearly inch thick slab of aluminum we laid across two burners of our stove every Sunday morning; a physicist’s idea of a pancake griddle, with perfect heat distribution. More elaborate devices that come to mind include the crane, complete with winch, block and tackle, and rolling trolly, that he developed to get our sailboat on and off the roof of our car. The family would stand nearby with great ceremony as Dad assembled the device. Usually a larger crowd would gather, fascinated, in the parking lot as the boat was raised, trolleyed, and lowered into position with perfect precision. The car that bore the boat was the green ’65 Dodge Polara that many will remember dad driving from 1966 well up into the mid 1980s. That favorite car of his crossed the country many times between Princeton and California, varously decorated with a sailboat, camping trailer, 6′ Philodendron and 33′ sailplane trailer – usually several of these at once. Dad was not only profoundly practical in his inventions, he was also highly frugal. This was exemplified by his decision to build, rather than buy, a trailer for his Schweizer 1-34 sailplane. This was to be no ordinary sailplane trailer. The finished product, constructed in the basement and, by design, passed out through the basement windows in sections, was a piece of engineering artwork. It was constructed entirely of angle aluminum, a series of structural triangles somewhat resembling a railroad bridge of the type that would span a good sized river, and with a lightness and strength unrivaled by commercial products. Twenty years later that trailer is still in regular use. Another unusual characteristic of Dad’s was his ability to answer his kid’s technical questions in a way that few fathers could. I think particularly of his managing to explain his colliding beam experiment of the early 60s in such clear terms that as a near toddler, I had a clear and accurate image of the essential structure of a high energy particle beam. A humorous twist is that I was so young at the time that I somehow missed the idea that two particle beams were colliding with each other. I had in my mind a clear image of a particle beam colliding with not another beam, but instead a “bean” (lima, to be specific). To me, in the earlier days, Dad worked on the “colliding bean experiment.” I think also of the time in 1974 when Dad and I hiked as a pair up Mt. Timpanogos in Utah. In the ten hours of the hike Dad explained to me what he assured me was the relevant content of a year of freshman calculus at Princeton University. All of the above is not to say that Dad had only a technical side. Far from that he has a loving and very caring father who strove to instill in his kids his very strong sense of values and belief in personal liberty and responsibility. 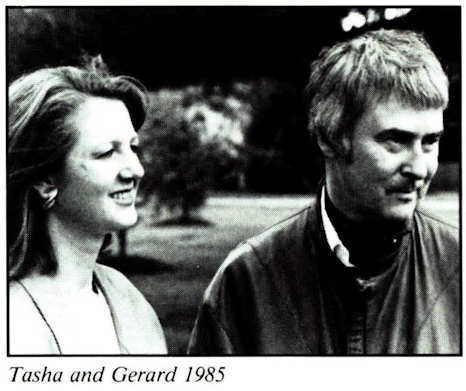 Rather, I attempt above to convey that Gerry’s inventive and creative nature carried through into all aspects of his life, and that some of my fondest memories of him are inextricably intertwined with memories of dad the inventor. We will all miss him, but he will live on in all of us whose lives were touched by his in so many ways. Let us celebrate his wonderful life! To describe Gerry as a talented physicist and teacher, inventor and entrepreneur, visionary creator and dynamic leader is accurate, but incomplete. Somehow, on top of all he accomplished, Gerry found time to share himself caringly with his family and friends. It is impossible to ignore or forget his work, but my fondest memories will be of carefree dinners, walks on the beach, and relaxed conversations that in ways revealed his creative mind even more. Those moments are precious treasures which will stay with my wife and me forever. What a special privilege in life to have known Gerry O’Neill! I am one of the many he picked from relative obscurity, nurtured and refined, and sent back out into the world into responsible positions. These legions owe him a very great debt. Aside from these considerable impacts, Gerry was much more to many of us. He showed us how much can be accomplished in an all-too-short life, both in the intellectual sphere and in the equally important area of living life to its fullest. A prosperous middle-aged friend of mine, commenting on these abilities of Gerry’s, said, “He accomplished more in the seven years after he became ill than I have in my whole life!” Indeed, Gerry repeatedly inspired me, over the 23 years I have known him as leader, colleague, friend and mentor, to pursue and cultivate the seminal ideas we might have, however un-modish they might appear to an unimaginative public or hidebound collegial society. He also showed me repeatedly how to keep organized and collected under fire, and how to bounce back from personal or scientific setbacks. (When a physics experiment was in crisis, and we were all losing our heads, Gerry would sit down at the lab desk and start squaring up the papers and pencils, getting his mind disciplined for the ordered dispatch of our troubles). So he leaves us now, and like all of you, my sense of loss for the personal friendship is enormous; I find myself thinking – one of the motivations I’ve had to do truly memorable physics has been the desire to bring the result to Gerry and receive his “Great job, Don” ­ somewhere out there in the ether we physicists ridicule I hope his spirit is watching over all of his burgeoning projects left behind, including all us proteges who will do well to match a few percent of his genius and his humanity. As the tragic but inevitable events unfolded in April, only a few blocks from my long-time home, I returned by necessity to my physics shift – my colleagues looked on, bemused, as I squared the papers and pencils and prepared myself, like all of you, to go it alone. This may have been the first but certainly not the last of many memorials and testaments to our irreplaceable friend. 1967-1970: Gerry was so focused on helping my family move to Frascati that he left his own suitcase at Fiumicino Airport. Two hours later he found it in the middle of the terminal, untouched. Try that today! He was collaborating on the design of a magnetic detector, the best person I ever met with the back of an envelope. “When you’re on a team, sometimes you have to let other people get their way, even if you think they’re wrong… but every time I’ve done that, I’ve always regretted it later!” Not only could he see the future, he helped make it happen. 2092: Our descendants will look down at the blue Earth from their orbiting habitats, or O’Neills as they will be called, and try to write biographies of this man we were lucky enough to have known. Amid the wilderness of outer space. A man of quiet dignity and grace. Sleep, my friend, sleep, find peace forever. I was privileged to be Gerry’s physician and friend for seven years. Being Gerry’s physician was a challenging experience in many ways. I would just like to share with you four aspects of our relationship, none of which will surprise those who knew this remarkable man. and (4) His love of Tasha and Edward and the older children; even when beset by medical or business problems, his concern for the welfare of his family was always his highest priority. Times when we were young and he would sit cross-legged in the middle of the room, arms outstretched, the “tickle monster!” We would run past him, shrieking, just close enough to be caught, tickled and quickly released – only to run by closely again. 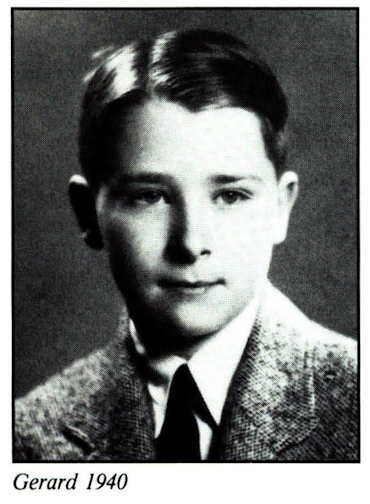 Times he’d tuck us in at night with stories of “Ugh, his wife Mickapackapucka, and their children Tic, Tac, and Toe.” The inventor in him would spin tales of how the first sailboat came to be, how the first wheel was invented, how families first went camping. Later those stories included a fourth child, “Red Top,” who joined the family in exploring impossibly prehistoric inventions. It is these times of sweet connection that I will always remember. 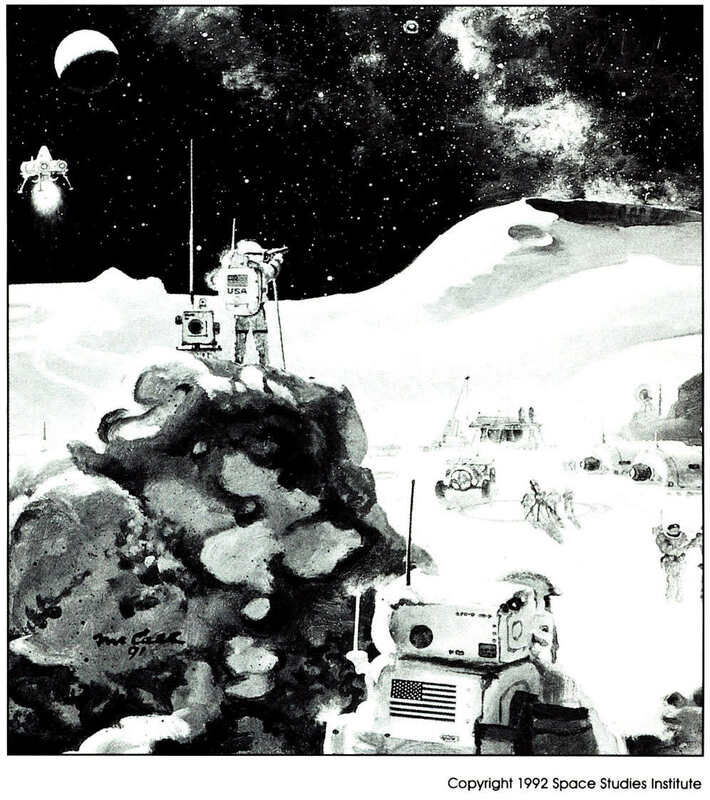 Gerry O’Neill’s concepts of space industrial development and colonization were first sketched in the somber light of early 1970s pessimism, an era of disenchantment with technology and the power of rational solution to human created problems. Gerry’s ideas were painted in the colors of excruciatingly precise calculations of mass, energy and Delta V, and were most accessible to that priesthood of scientists and technologists who advise modern opinion. But the bright picture that emerged was also understandable to the most ordinary of us. Space was no longer the domain for only those disciplined, highly educated warriors of exploration and progress, but for the child, wife and everyman. Indeed, space was the extraordinary new realm for a splendid new future, shared by all and bathed in confidence and optimism. For many the relationship to space and life in general was forever changed. A tribe of disciples was born, who shed the era’s malaise and dedicated themselves to enhancing the new image through further study and calculations, and to communicating it to those leaders of ours, who have to power to convert, ever so slowly, vision into reality. For others, whose life circumstances did not permit active participation, there was the feeling of nurturing deep progress through affiliation with SSI and other kindred organizations. Overall, however, Gerry’s legacy is, in essence, a portrait of civilization’s renewal, a life-giving vision that animates and gives profound meaning to our otherwise average lives. For this we are forever grateful, and thank Gerry, the artist. 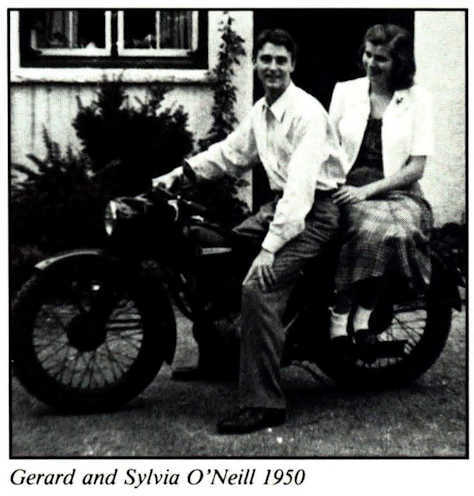 Gerry O’Neill was an unusual person. Undoubtedly, he was primarily a physicist but he had a respect for and knowledge of science in general. Besides this leitmotif he had an overriding interest in applying scientific and engineering knowledge to various areas of human endeavor where it could lead to useful devices. Whatever he did, whether piloting his plane or designing a house or planning a new industrial venture, he did it wholeheartedly and with optimism. At the Stanford (11/85) meeting of the National Commission on Space Dr. Carl Sagan expounded on his recent conversion to favor human space flight. This was only to meet the political ends of U.S.-Soviet peacemaking, of course; science was still best done by robots. When Gerry asked Carl if there might not be another reason for human beings to go into space, namely economics, Carl gushed that it would be immoral to go into space for profit…that it would be like Cecil Rhodes and the “robber barons who pillaged Africa.” Gerry and I laughed for a long time about that. Given the company, Carl can call me a robber baron anytime. Gerry had once said, “I hope at the end of my life I can look back on work honestly done and on fair dealings with others.” This statement is typical “Gerry:” modest, direct, and honest. He was a man of integrity, commitment, vision and inspiration. We are all familiar with Gerry’s bernal sphere and mass-driver, but he was much more. We hope these writings give an insight to the complexity and wonder that was Gerard Kitchen O’Neill. SSI is pleased to announce that Prof. Freeman Dyson of the Institute for Advanced Study has accepted the position of acting president for the Space Studies Institute. A renown physicist and dear friend of Gerard O’Neill, we are fortunate to have his vision and expertise available. Prof. Dyson and Dr. O’Neill had spent untold hours over many years discussing SSI and its mission. At last month’s board meeting Dr. O’Neill stated, “SSI’s job is not done; we do not have people living and working in space.” We intend to continue our efforts under Prof. Dyson’s direction. SSI will carry on its mission to make the O’Neill dream a reality. One of the great phenomena of our times is the environmental movement. Like any popular, large-scale movement, it has its irresponsible fringes, but it is impressive not only for its power, but for the number of its thoughtful, reasoning supporters. And none too soon, because within the past half-century the growing world population’s drive to industrialize has reached the point where human activity is clearly damaging the environment, in some cases irreversibly. Such damage is not unique to our own times; the deforestation of ancient Greece and much of Europe and Britain in the past few hundred years are examples. Now the damage has become general and worldwide. The first, and intellectually the simplest response to that damage was to cry “Stop!” The earliest, and still a popular theme was, “If it’s new technology or an expansion of old, stop it.” We have, at least for now, effectively stopped the development of nuclear power in the United States. That happened because environmentalists feared reactor accidents and the certainty of nuclear wastes, and because of the mental association of “nuclear” with weapons. Though educated as a nuclear physicist, I happen to agree with that rejection, for specific reasons which seem rational to me. Successes like that, if such we call them, are isolated. France, a nation as advanced as our own and with its own strong environmental movement, continues to rely overwhelmingly on nuclear power. In the past 70 years, the drive to industrialize was so strong in Eastern Europe and the Soviet Union that environmental concerns were totally buried. Those examples point to worldwide forces that are, and probably always will remain, stronger by far than the forces allied for preservation of the Earth. Those forces are individuals’ aspirations for a better standard of living. In developing nations the paramount drive is feeding one’s own family and improving, even a little, the conditions of life. The destruction of the Brazilian rain forest, over­grazing in Africa, and pollution in the majority of Third World cities all attest to what forces win out in places where the standard of living is still far below that achieved in Europe, Japan, and the United States. How can we solve the problem? Even to suggest there may be solutions is a “Western” viewpoint, very different from the fatalism much of humankind still lives by. But it is the material results of that Western viewpoint which most of humankind is striving to achieve. I find myself trying hard, as a human being first and a scientist second, to find solutions. For years I have been exploring practical ways to preserve or even improve the environment while at the same time making available to the people of the developing nations the material resources they so desperately want. The central problem of industrial growth is energy. Building more energy-efficient systems, especially transportation systems, is a way we can reduce energy needs. Much of my current efforts focus on the design of a practical transport system which can be faster than the Concorde, is virtually free of noise and environmental impact, and is more than five times as frugal in its use of energy than an efficient car, train, or airplane: vehicles traveling at or near surface level in a vacuum, supported and driven by magnetic forces, and guided by computers. Despite such examples, reducing energy use overall is not an option, because producing most foods, goods, and services depends on energy. The least-developed industrial nations use only a hundredth as much energy as the most developed – but they suffer a living standard a hundred times lower in consequence. We could not reduce energy use without condemning the majority of the world’s population to unending poverty. Maintaining the present rate of energy growth in developing nations will require generating more than five times today’s energy production 50 years from now. It is so difficult and challenging to do that in an environmentally benign way that we must begin by throwing out most of the ideas we have heard so far. We are concerned enough with the rise of carbon dioxide and the greenhouse effect that our desire, as environmentalists, is to phase out the use of fossil fuel. That can be done, even for road transportation, if electricity can be made cheaply enough. Fuels like methane, propane, and butane can be synthesized using recycled carbon dioxide to put energy into portable form. But how do we generate energy cheaply, reliably, without significant environmental impact, and without danger? Nuclear power is not very cheap, and would require operating 63,000 nuclear reactors worldwide by the middle of the next century. Reactors concentrate energy to an extreme degree, which is why there have been fatal reactor accidents in the real world of fallible, error-prone people. Solar power received at ground level cannot be converted to energy in the amounts needed without paving much of the world with solar cells. That would further raise the Earth’s temperature by increasing the heat the ground absorbs. Obtaining power from the temperature difference between surface and deep ocean waters in the tropical oceans would change the global climate profoundly by altering the heat balance at the ocean’s surface. Fusion power appears still far from realization, and would not be free of radioactivity. When conventional ideas are exhausted and no solution has been found, it is often wise to examine whether we have, unknowingly, bound our own thinking by convention. In this case we have, because all of the usual answers concerning generating energy are bound by our unspoken limitation to the surface of the Earth. I like to illustrate that tradition-bound thinking by posing the six-match puzzle. 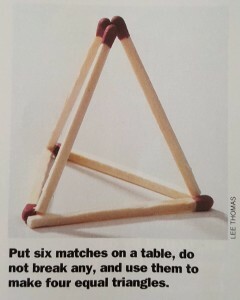 Put six matches on a table, do not break any, and use them to make four equal triangles. People who attempt the puzzle usually push the matches about the table for awhile and then give up. The solution is simple: make an equal ­sided triangle of three matches, and hold a new match at each point of the triangle with the other ends of those last three matches meeting above the table. You have made a perfect tetrahedron – and you have escaped two­ dimensional thinking to find a solution in three. By close analogy, the probable best solution to our energy problem is to use the third dimension. There is, already, an utterly reliable, maintenance-free, nuclear reactor that consumes its own wastes – the sun. Everywhere except where the Earth’s shadow interrupts it, sunlight is intense and reliable 24 hours a day; everywhere, except where we have tried to use it so far. There is a way to use the clean solar energy that now streams by the Earth to lose itself in the depths of space. It does not require new science, nor high temperatures, nor high energy density. It is simply to locate, in high orbit, large arrays of solar panels. Those panels convert solar energy to electricity, and then to low-density radio waves. The waves are sent to fenced-off areas on Earth where they are converted back to electricity at an efficiency rate of more than 90 percent. To make solar power satellites (SPS) practical and economical, we do not need any new science; we only need to apply what we are already doing in the more advanced industries: robotic production, computer control, and the replication by robotic machines of some of their heavier, simpler components. We do need one more thing: materials. It is neither practical, nor economical, nor environmentally acceptable to lift from the Earth by rockets the thousands of tons of materials needed to build an SPS that would supply Earth electricity equal to the output of ten nuclear power plants. Fortunately, we do not have to. We were given something unique in our solar system: an enormous Moon, orbiting tantalizingly nearby, and containing on its surface just the materials we need. Lunar soils contain 20 percent silicon for solar cells, and about 20 percent metals. Much of the rest, surprisingly enough, is oxygen. The Moon has two other great advantages as a source of materials: its gravitational pull is only one-sixth of the Earth’s and because of its small diameter, the Moon’s gravitational grip is less than a twentieth of the Earth’s. The Moon’s second advantage is it has no atmosphere. The combination of the Moon’s weak gravitational grip and its vacuum environment makes it practical to locate electric mass accelerators on its surface which would be capable of lofting a steady stream of small payloads to a precise collection point high in space. Such machines, called “mass-drivers,” were tested nearly a decade ago under the sponsorship of our small, quiet, nonprofit foundation, the Space Studies Institute (SSI). Mass-drivers were shown to obey their computer design programs within one percent ­ no new science there – just straightforward engineering. 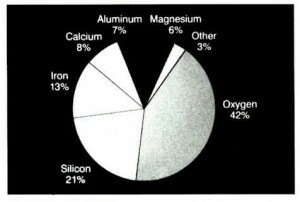 Since then SSI has sponsored laboratory research on making useful products from ores similar to lunar soils. As people concerned about our environment and about the world we leave to our children, we should question proposed solutions to major physical problems. As fossil fuels, nuclear energy, ground-based solar, and other conventional sources of energy all fail to make sense in the world of 2050, will SPS technology deliver? First of all, there is plenty of energy in space. Even in a narrow band 25,000 miles above the equator, where a satellite can maintain a fixed orbit, plenty of solar energy streams by constantly to supply far more than enough energy for the Earth of 2050. What of the conversion on Earth? It was demonstrated years ago. The antennas convert the radio waves with an efficiency so high that less than 100 watts of waste heat goes into the environment for every 1,000 watts that goes into power lines. For coal or nuclear the numbers are: 1,500 watts waste, 2,500 watts total; for ground-based solar they are several thousand watts waste plus another thousand to make up the total-different from an Earth without solar cells – because solar cells absorb more heat than the ground they cover. Transmission is the question that deserves continuing research: How to send the low­density radio waves from an SPS to antennas on the Earth. I have satisfied myself that transmission does not involve significant risks. But I invite you to do your own research. One of the best sources on the subject is The Microwave Debate by N.H. Steneck (MIT Press). The points that seem to me most important about radio transmission of energy are that people would not be in the beams; that for fundamental physical reasons the beams could not be intentionally or accidentally redirected; that their intensity would be comparable to sunlight; that unlike the massive shielding around a nuclear reactor, the only shielding necessary would be a layer of house­hold aluminum foil; and that, unlike the present irreversible dumping of 5,000 megatons per year of fossil-fuel carbon dioxide into the atmosphere, or the generation of long-lived nuclear wastes, the SPS system would leave no chemicals or radioactives behind if our descendants decided to turn it off. You and I know that satellite power aided by the use of construction materials from the lunar surface is an idea that is still almost unheard of, much less the subject of national debate, as it should be. Indeed, those most seriously studing SPS are Japan and Europe. Why does this conspiracy of silence exist? The reasons are partly unfamiliarity: three­dimensional thinking is often unwelcome in a two-dimensional world. Oddly enough, it is often more unwelcome to people who think of themselves as experts than people who have a general, rather than a specialized education. Institutional barriers and the normal behavior patterns of bureaucracies explain the rest of the “why.” Since shortly after World War II the generation of scientists who contributed so greatly to winning that war have championed nuclear power. Though that generation is well into retirement now, it remains a powerful force in advising the government. It is joined by the heavy industries which see (or used to see) nuclear power as a market opportunity. Fusion power research has gone on in large part because governmental science agencies like the National Aeronautics and Space Administration, the Department of Energy, and the National Science Foundation are extremely responsive to the scientific establishment. That establishment is led by such organizations as the National Academy of Sciences. The academy is made up of intelligent and highly qualified scientists, but as a body it is very conservative. Indeed, one of my colleagues high in its councils once described it as an “Old Men’s Club.” Fusion power research has been supported for some 40 years because, literally, generations of scientists have worked on it as graduate students, then gone on to positions of authority, and finally risen to positions where their recommendations are heard with respect by government agencies. In the bureaucratic format, satellite power has no natural home and no built-in constituency. NASA, now a timid, fearful NASA made up of aging pre-retirees rather than the young tigers who made Apollo work in just eight years, would be frightened out of its skin by a tough, make-it-work assignment with a tight budget and a tighter time scale. And NASA’s charter doesn’t cover energy. The DOE? Its charter doesn’t include space. The NSF? Satellite power isn’t science, it’s engineering. 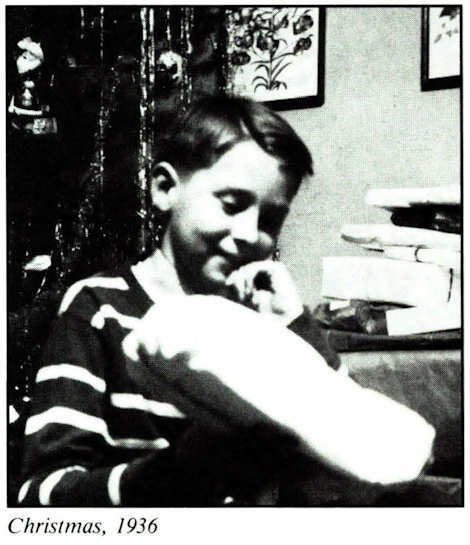 This article, one of the last pieces that Gerry wrote, first appeared in “TRILOGY” magazine in the January/February 1992 issue. It reflects his most recent thoughts on the environment and reaffirms his belief that there are solutions. It is reprinted with the permission of the publisher. On behalf of the O’Neill family and the Space Studies Institute we would like to thank everyone who contributed to this newsletter, and sent cards, letters, and contributions to SSI in memory of Dr. O’Neill. We are left not with a void, but a challenge to make the dreams of “The High Frontier” a reality. SSI will continue that pursuit.